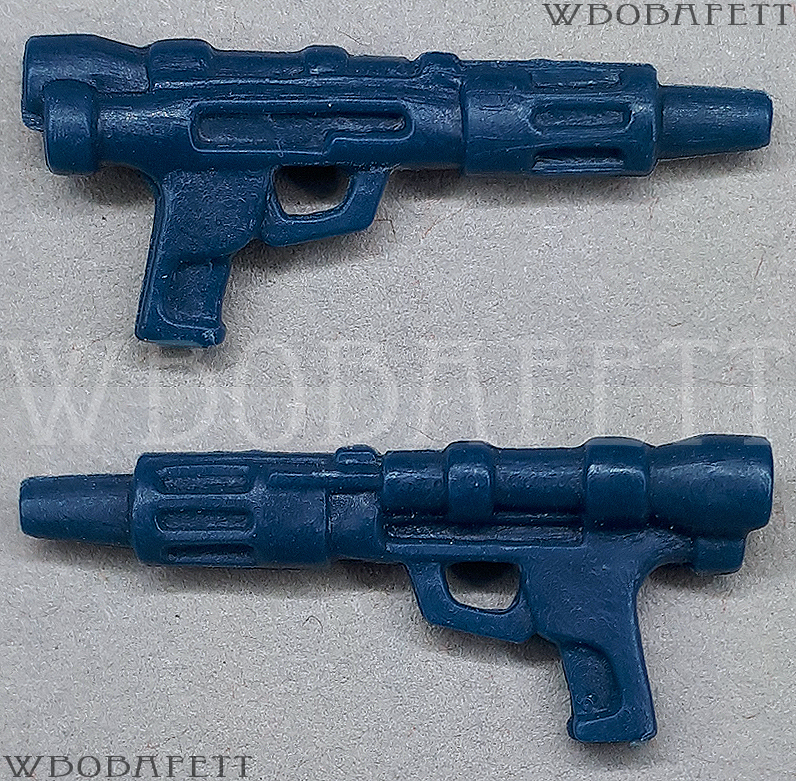 There is 4-5 main mold variations plus subvariants. More subvariants may exist. 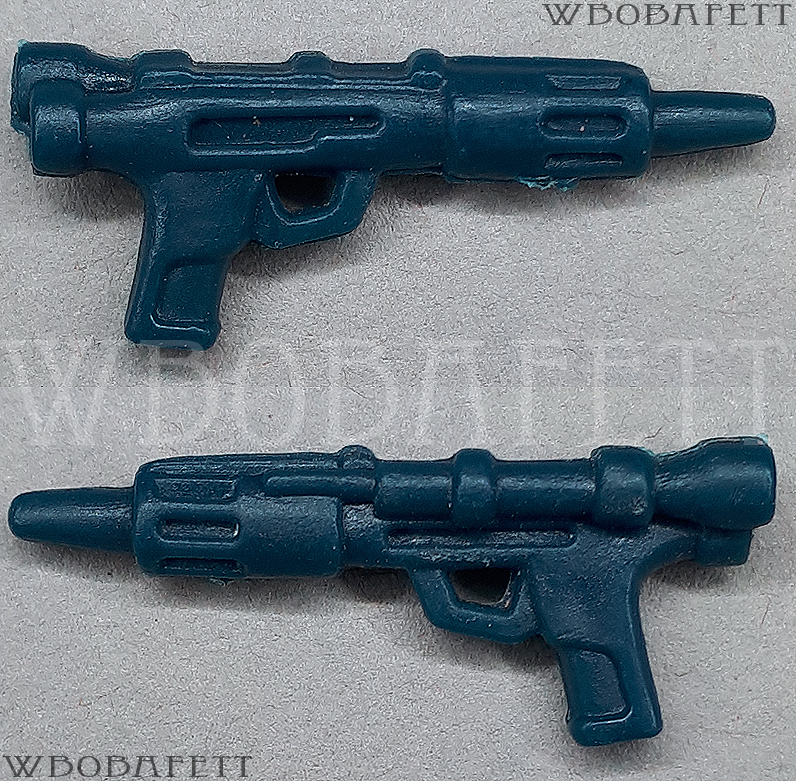 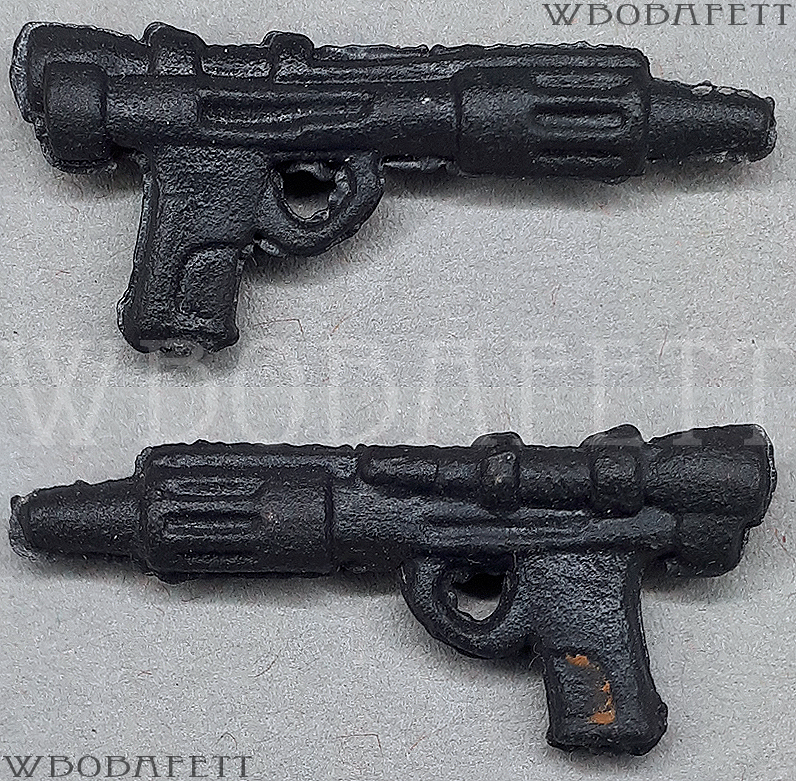 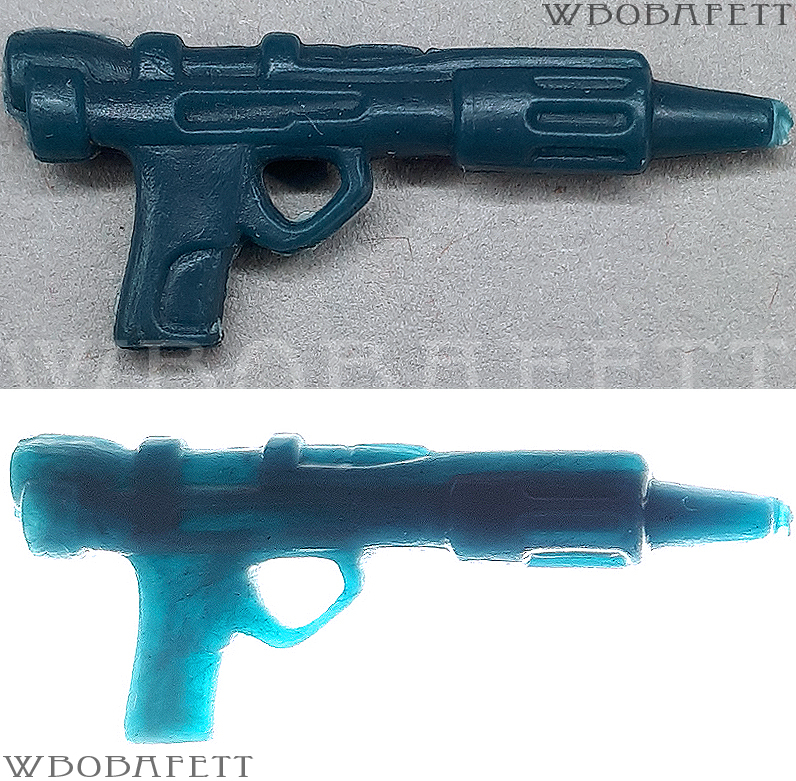 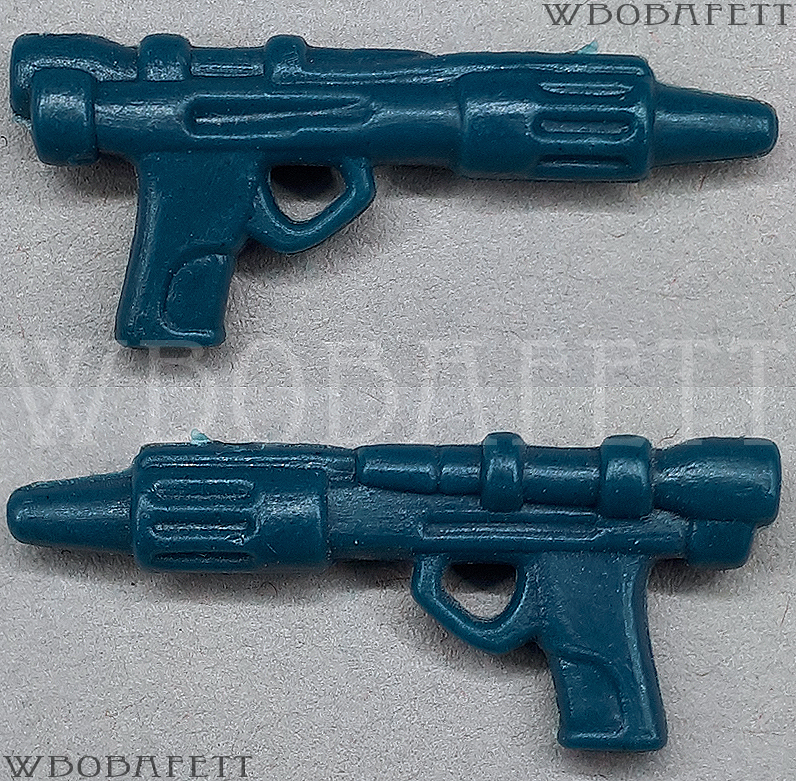 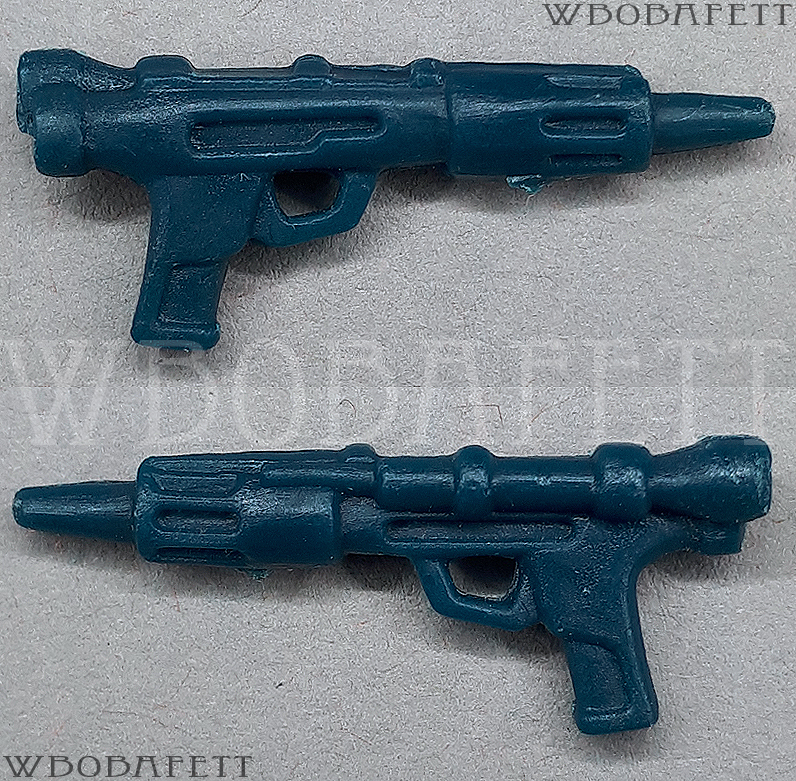 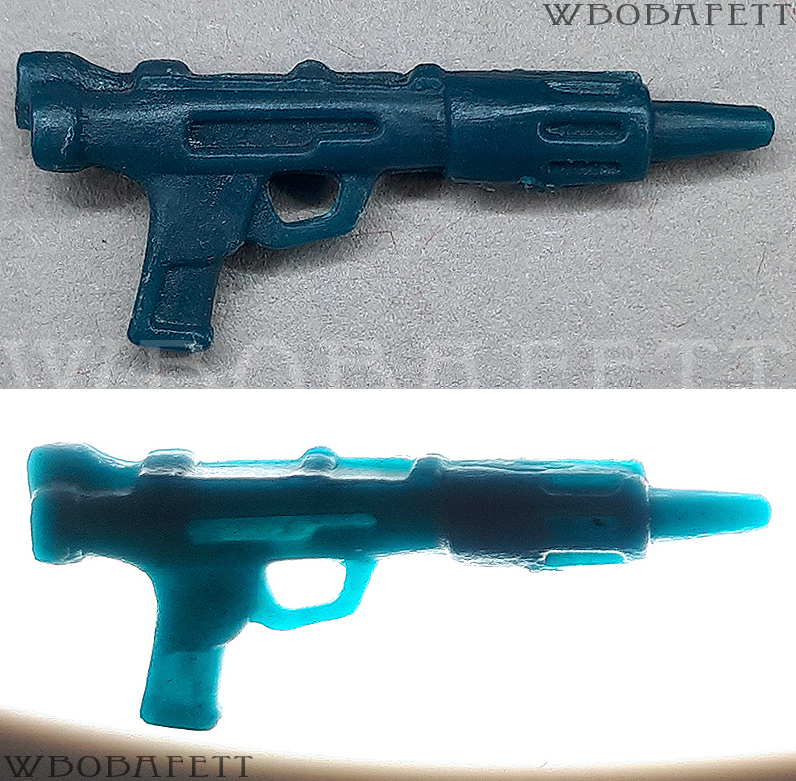 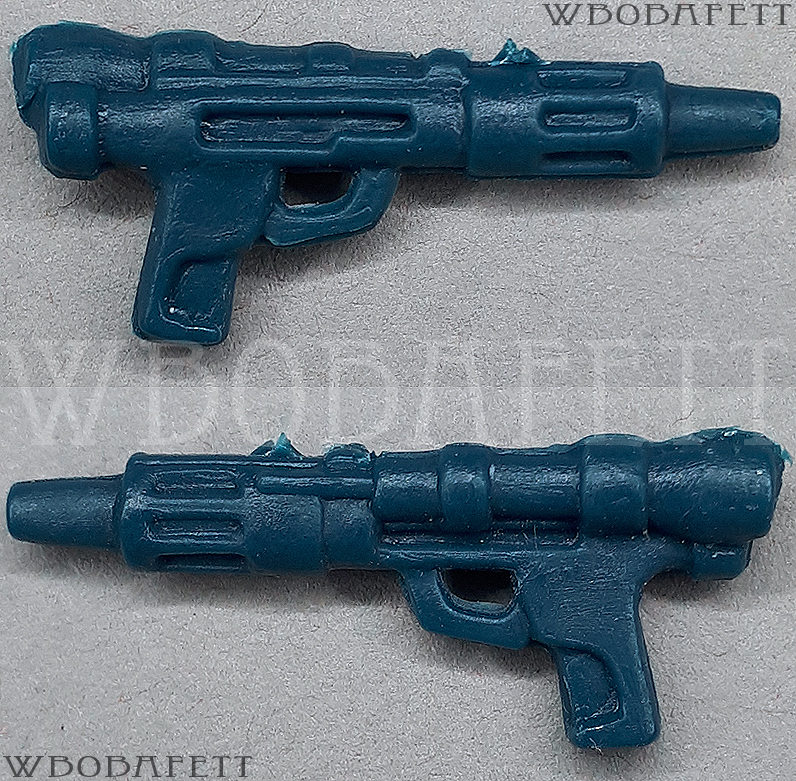 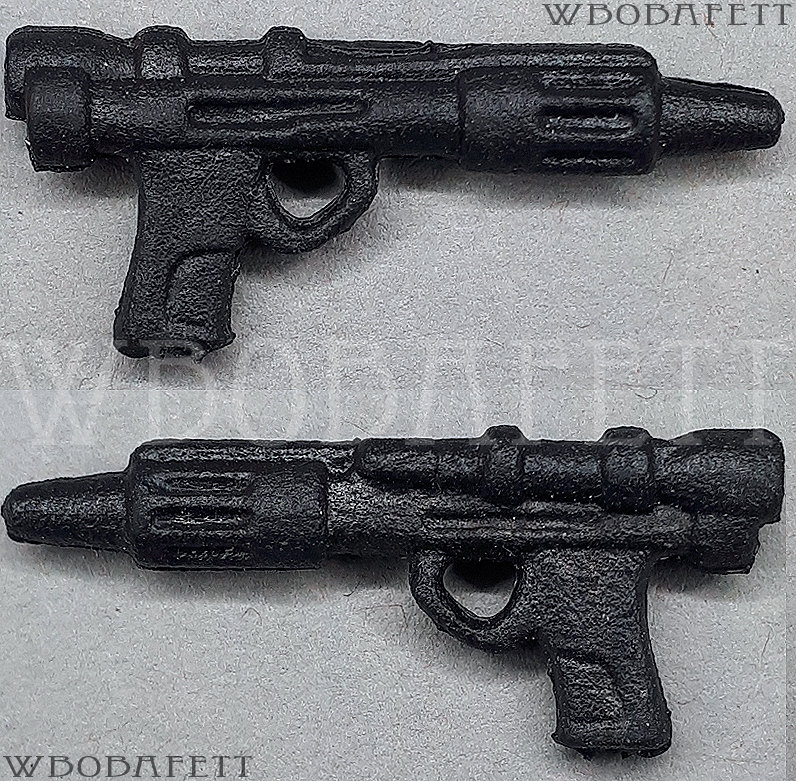 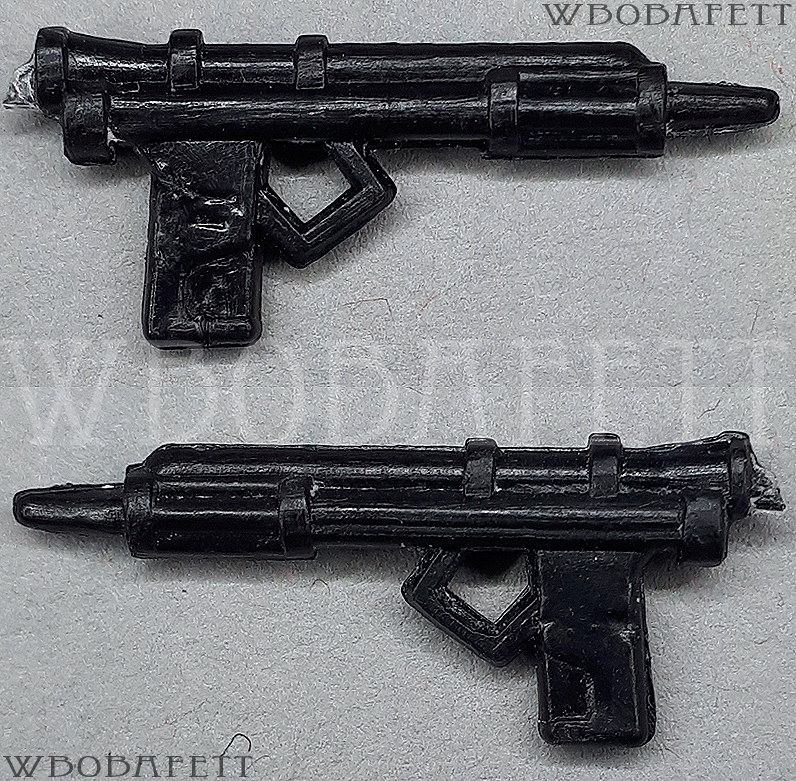 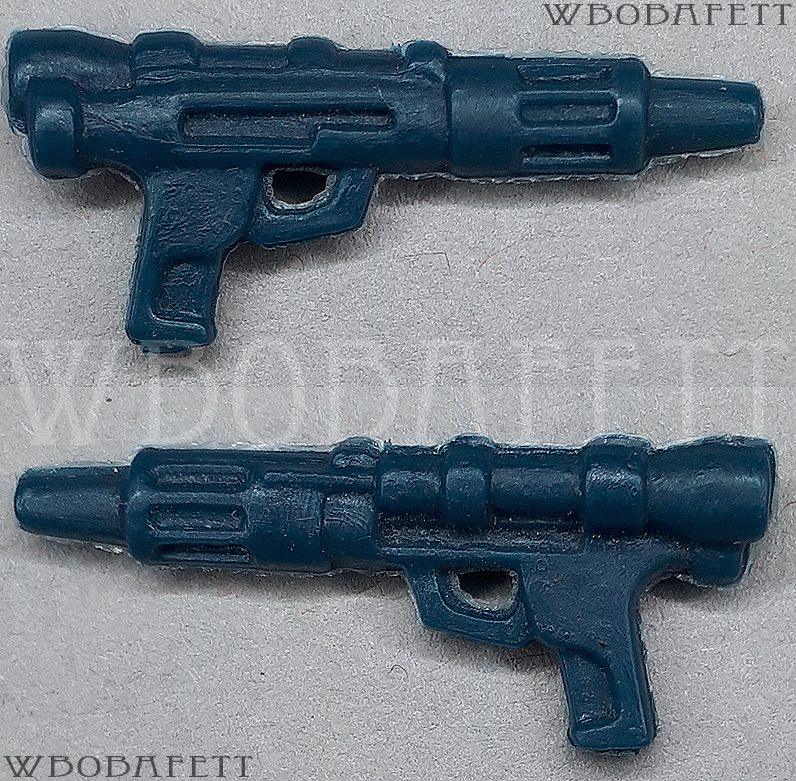 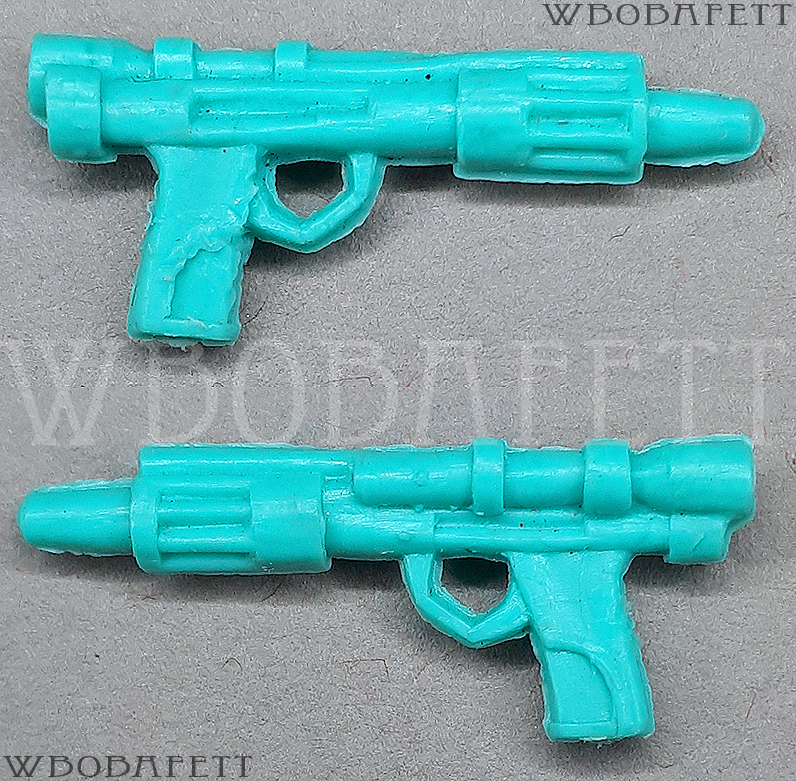 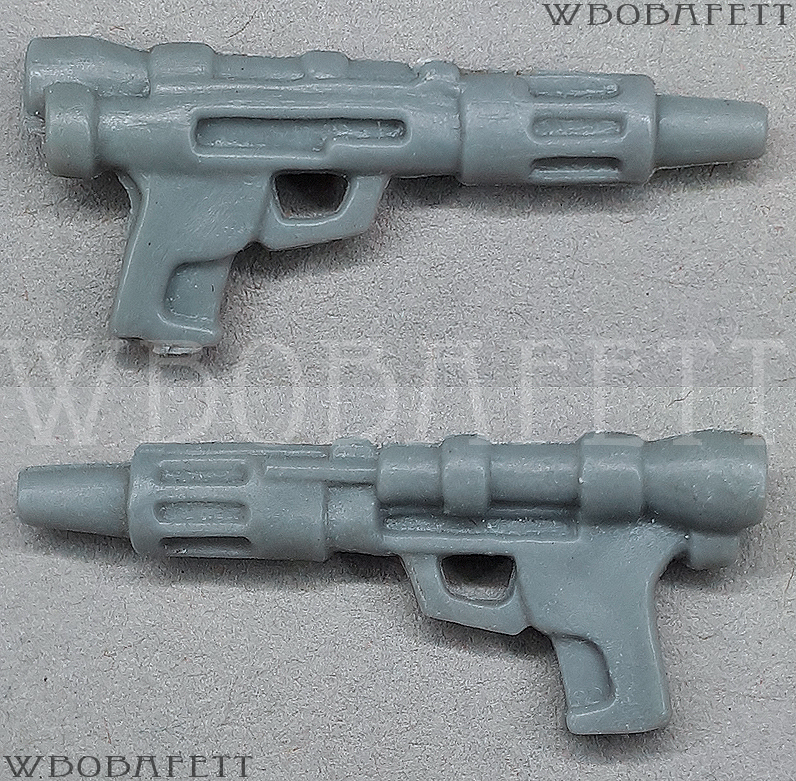 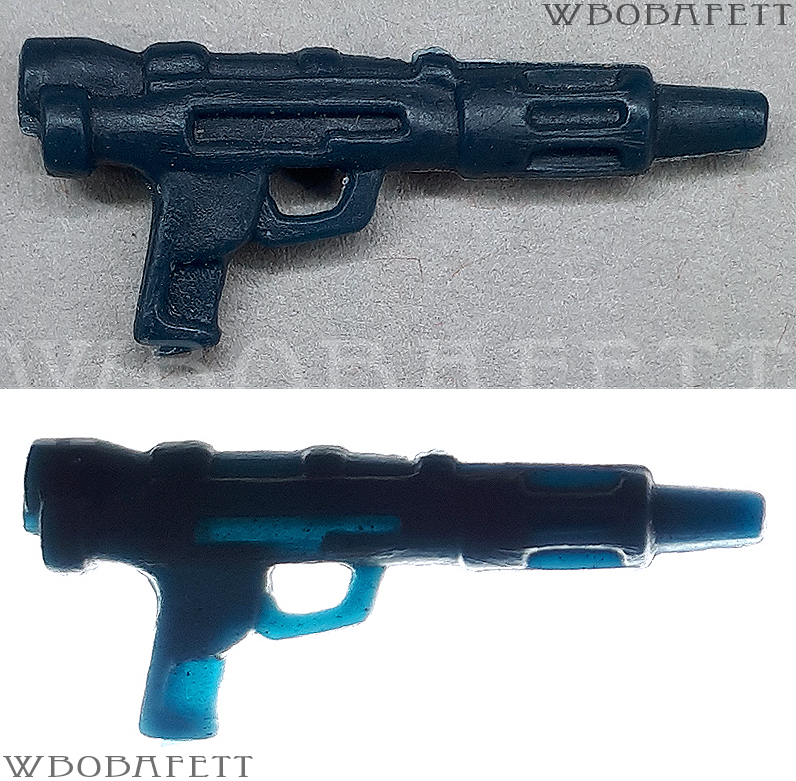 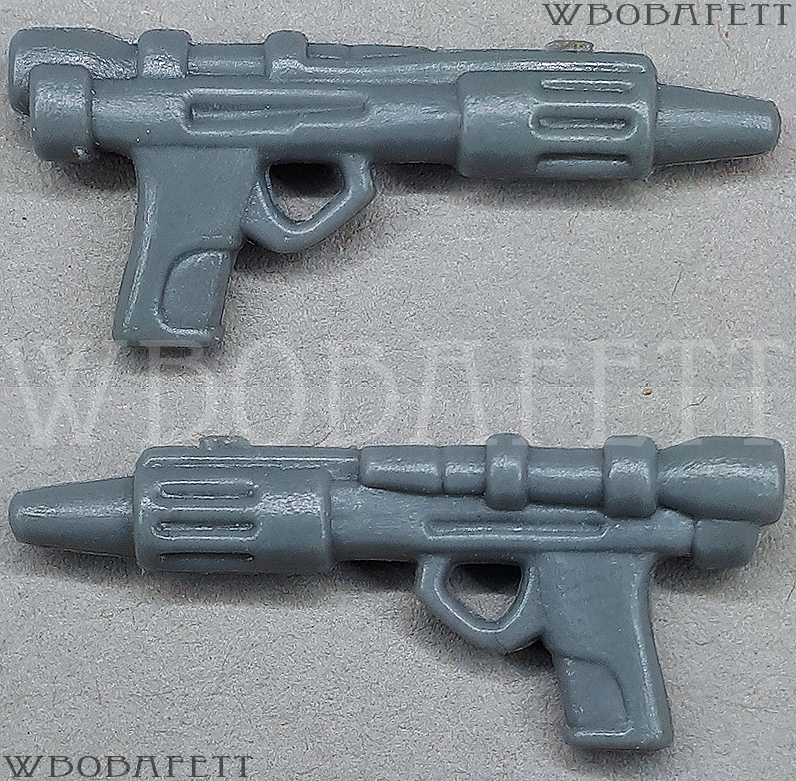 As a result of the fact that these were shot on a sprue tree in numbers of 4-10 each shot the subvariants may vary heavily depending on the steelmold used (see overview for detailed information). All colors from M4a should also be present on the M4b and M4c as well as the other way around (–> unproven theorie). 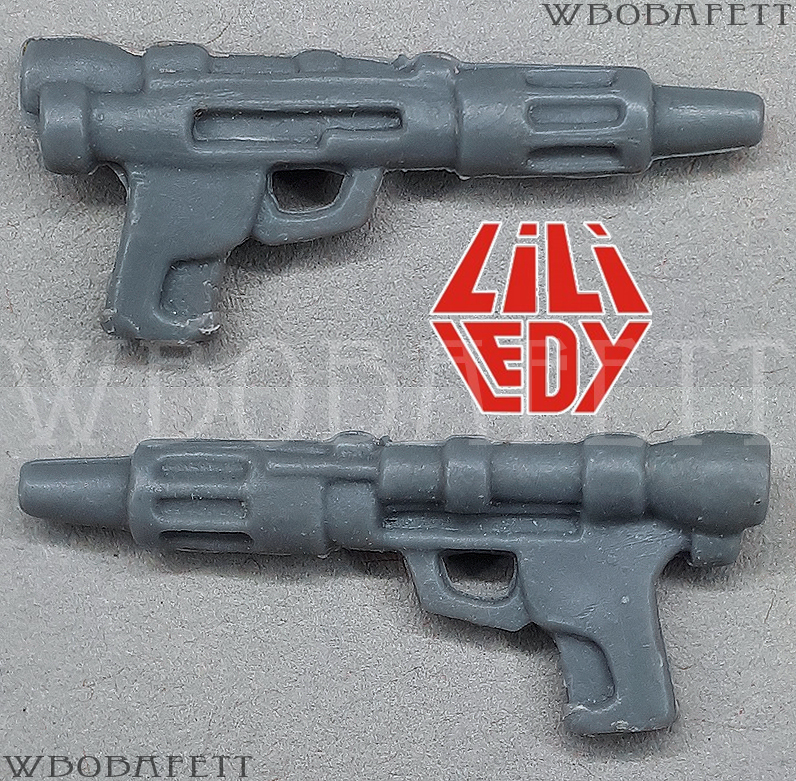 Hungarian bootleg. 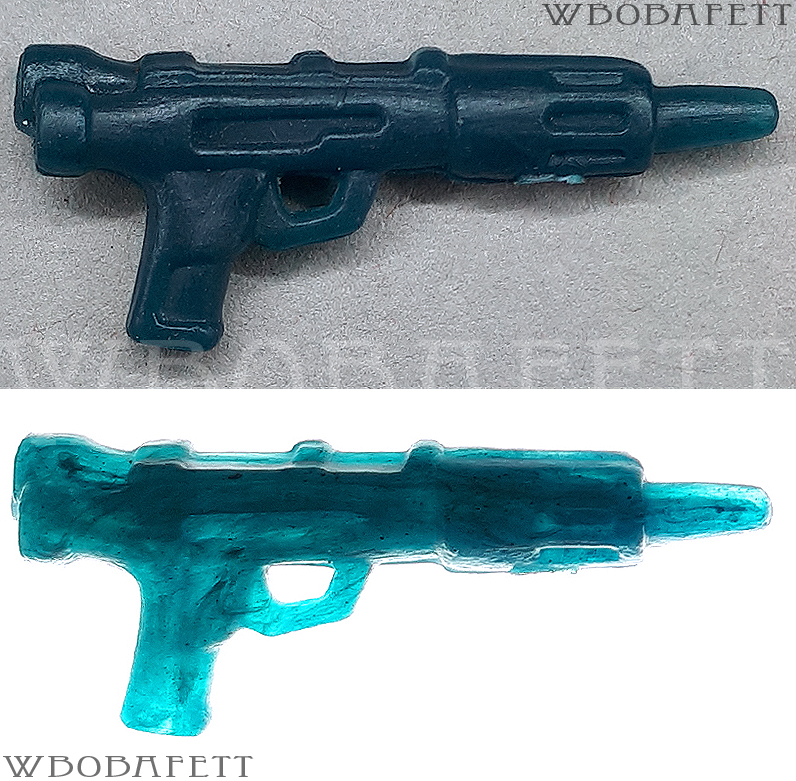 Mold used only in the 80s. Came with Hungarian Luke Farmboy, Biker Scout and sometimes with Han Solo. Polish bootleg. 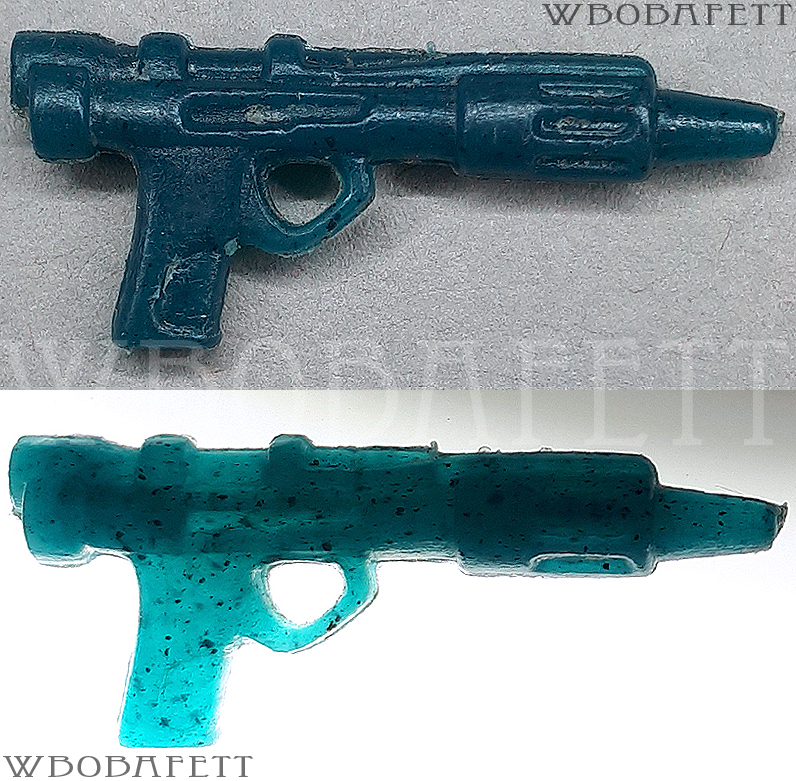 Mold used in the 80s and 90s. 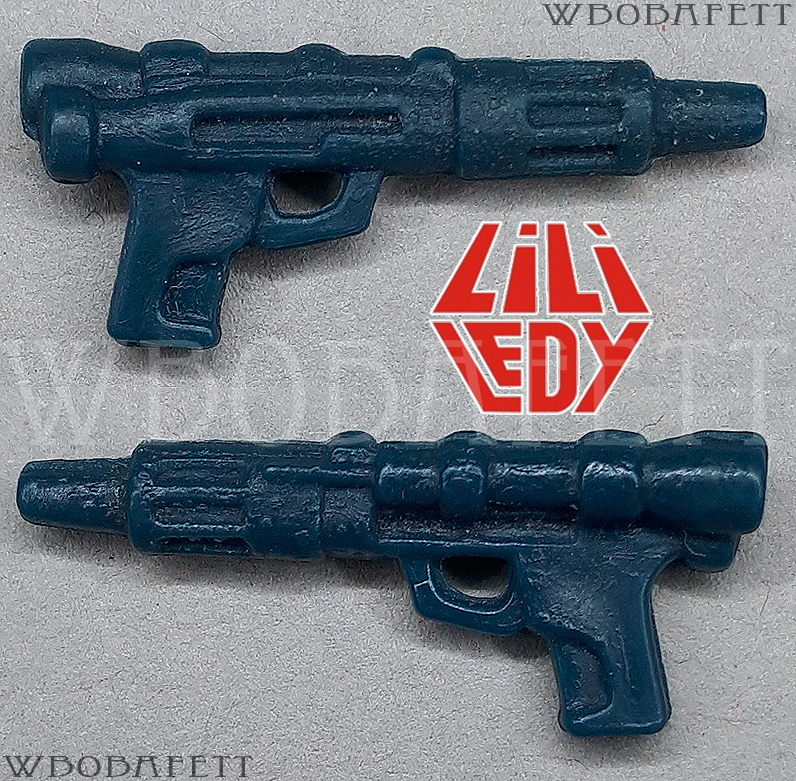 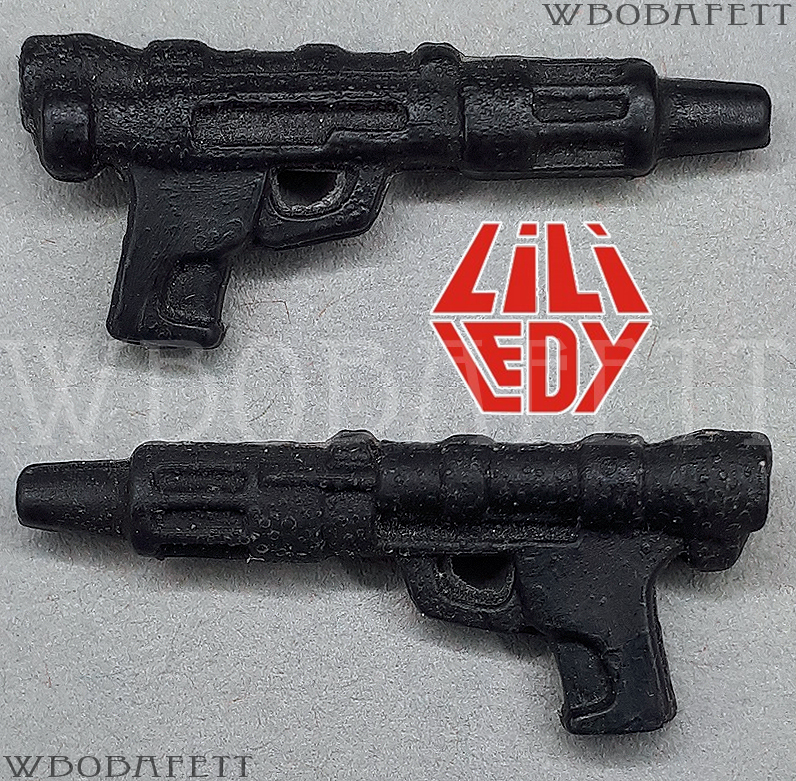 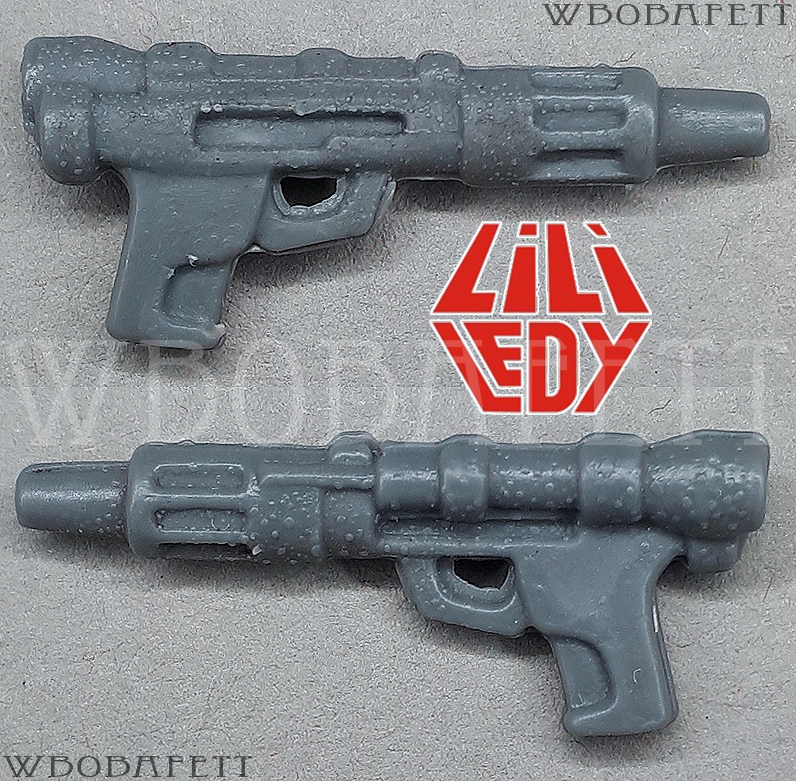 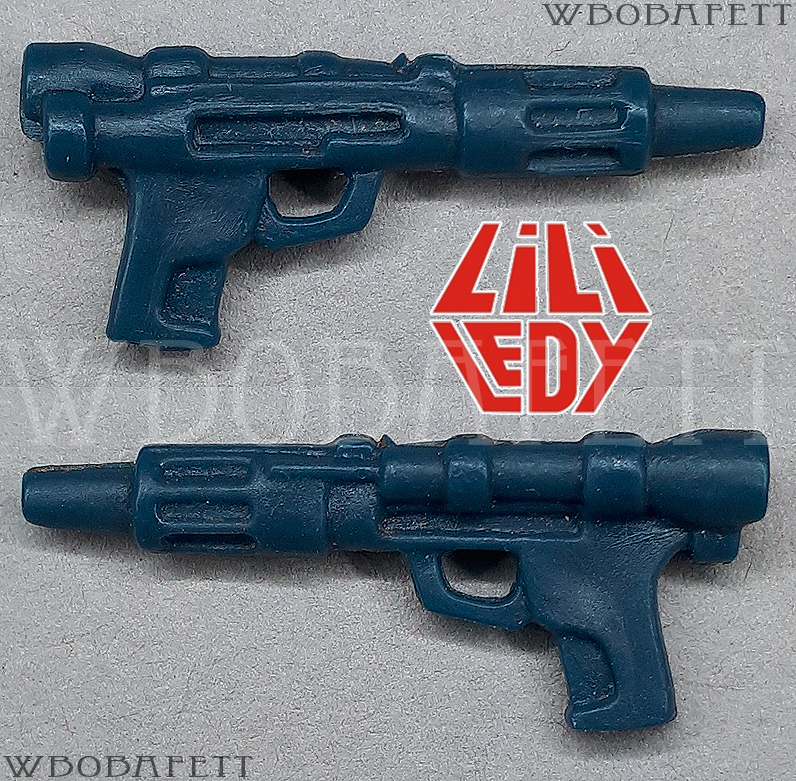 Was added to 1st/2nd/3rd Gen Polish bootlegs (weapons sold separately). 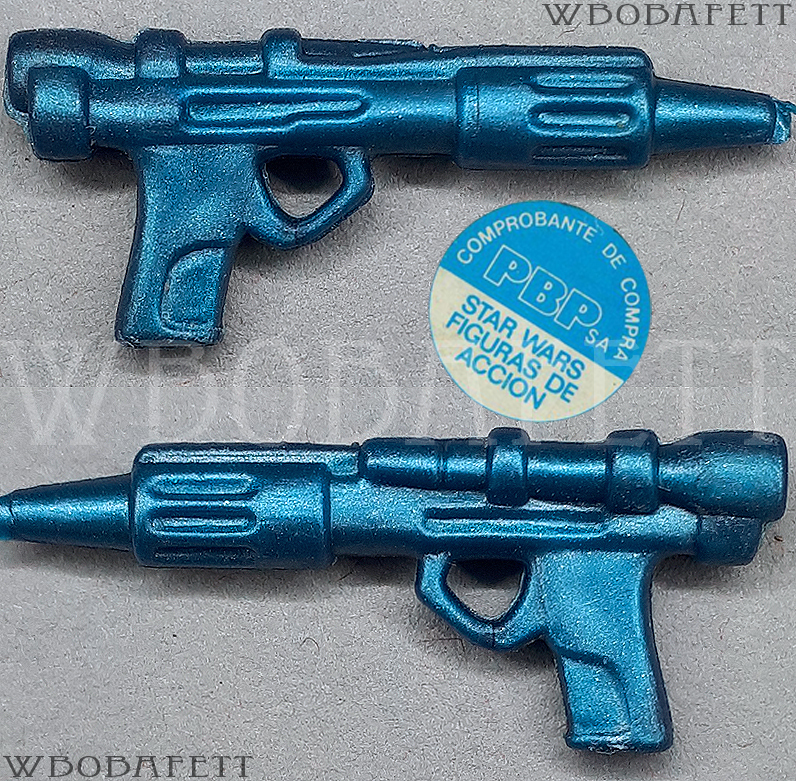 Brazil bootleg (Model Trem). Courtesy of Martijn Emmelot.